I know I’ve been MIA for awhile now (work, work, work), but I’m back and I’d like to welcome Christian Baker on the blog today! He is the author of The Bleak Door, a science-fiction horror novel filled with dystopian themes of this Big-Brother figure that oppresses its citizens. Synopsis: “The President of the United States is abruptly hit by a serious and unknown disease. Suddenly, and while his successor was being discussed, he miraculously recovers. Relief rapidly spreads among his assistants and public opinion. The most powerful man on the planet has come back. Or, at least, that is what everyone thought. A different enemy, beyond our understanding, expands his webs. Soon changes in laws, persecutions, and weird and flabbergasting experiments start to take place. A top-notch interdisciplinary team is clandestinely put together in order to grasp the inexplicable and thus put up some sort of resistance. They were not aware that the knowledge of that truth might only be the beginning of the nightmare. The Bleak Door tells us about a world becoming oppressive, violent, without any clear apparent reasons. It faces us with complex questions of our inner self and our response towards manipulation both from an individual and a social level. It positions us before our selfishness, our decisions. And, above all, their consequences. 1. Tell us a little about yourself. What inspired you to write a book? The present work was inspired by a deep observation of historic and present events of tremendous impact on our society. I wanted to approach readers not from a general perspective but from our deepest nature as human beings, that which defines our identity and gives way to our decisions. It’s not a book of theory. It’s a dark and breathless journey which we experience firsthand. 2. What sparks your imagination? Is there a certain place or setting that really gets your creative juices flowing? More than a certain place, what sparks my imagination is to listen to soft or relaxing music, something instrumental. At other times I am so concentrated and absorbed by the story I’m telling that silence is my best companion. 3. Do you remember the exact moment when the story for The Bleak Door came to you – that moment when everything connected together? Do you remember what you were doing at that time? It happened in a moment where I was thinking about myself as a reader (I feel a huge passion for intense plots). I want that the stories transport me, absorb me. To feel that it’s real and not just something to pass the time. And when I finish reading, to feel that something inside me has been transformed. Then I mixed those thoughts with memories of my own experiences through my entire life and I felt deep inside me that it was the right moment to be on the other side of the equation. 4. Why did you decide to write a science-fiction thriller over every other genre? Because science fiction is just an excuse to deal with a very tangible and real subject in a different way. 5. Who’s your writing muse? Our reality as human beings. 6. Is there an author who you’d love to meet and collaborate on a book with? I would have liked to know Arthur Clarke or Isaac Asimov. Really they are my favorites. It would have been a pleasure to collaborate with them writing an excellent story. 7. 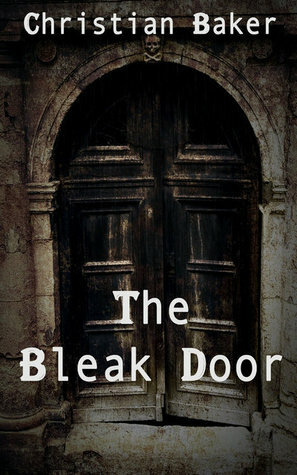 If you could describe The Bleak Door in just one sentence, what would that sentence be? It forces us to decide, to choose our path. And there, behind The Bleak Door, the consequences await. I came into the world one year before a man would walk on the moon, at the end of a decade that held the dawn of change in its guts. I was raised during a special and complex time but I retain memories of profound sensitivity and a love of knowledge that impregnated the experiences of my childhood. I look back fondly on my afternoons in the neighborhood. I can still see old the cinema where sensations, words and images appeared as if by magic before my wide eyes. Time advanced with its sure steps and my love for the seventh art spread to a passion for literature. In the pages of books I discovered that prodigious spark which unites the author’s tale to the depths of our imaginations. Through reading, writing and the tests life uses to shape us, I learned and grew. Creation and vision nested deep within me. One day, four years ago, the stream of words and images that I had intoxicated myself with for so many years as reader and spectator, along with the clarity conferred by life’s challenges, gave way to the writer that had been lurking within me, waiting for the chance to break free. That is how “THE BLEAK DOOR” was concocted, an intense and powerful tale, one that sticks to your skin as soon as you take it in your hands. We will travel its pages together, setting off as spectators. We will move quickly into a world of unique sensations, down a winding path paved with fear, drama, doubt and reflection. It will force us to look within ourselves, to flee, to rediscover who we are. It is my hope, dear reader, that we remain forever united by this experience and that we may journey together always.